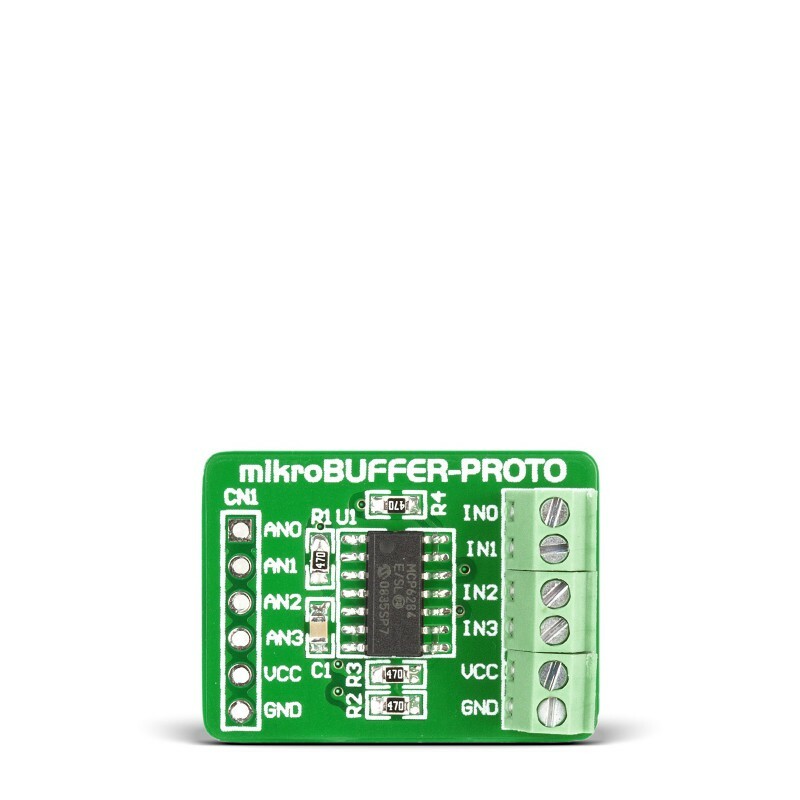 The mikroBuffer PROTO Board is used to buffer analog signals. There is a unity gain operational amplifier MCP6284 provided on the board. 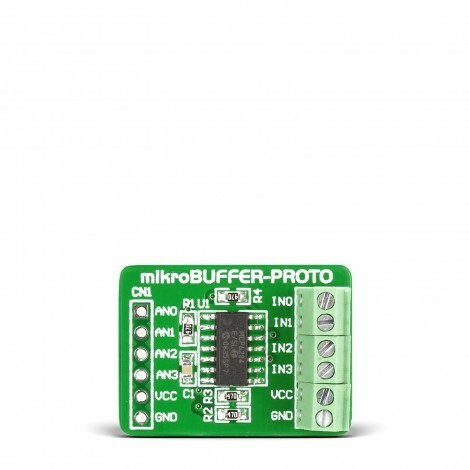 The mikroBuffer Board features MCP6284 operational amplifier with total of 4 inputs that are specifically designed for low-cost, low-power and general-purpose applications. Low power supply voltage, low quiescent current and wide bandwidth make this board ideal for battery-powered applications. Board can be inserted into standard breadboards with 100mil distance between points.